I’m sure I’m not to only one who failed many times when it comes to projects. I tried so hard to get this diy to work but in the end I chucked it in the never in a million years bucket. 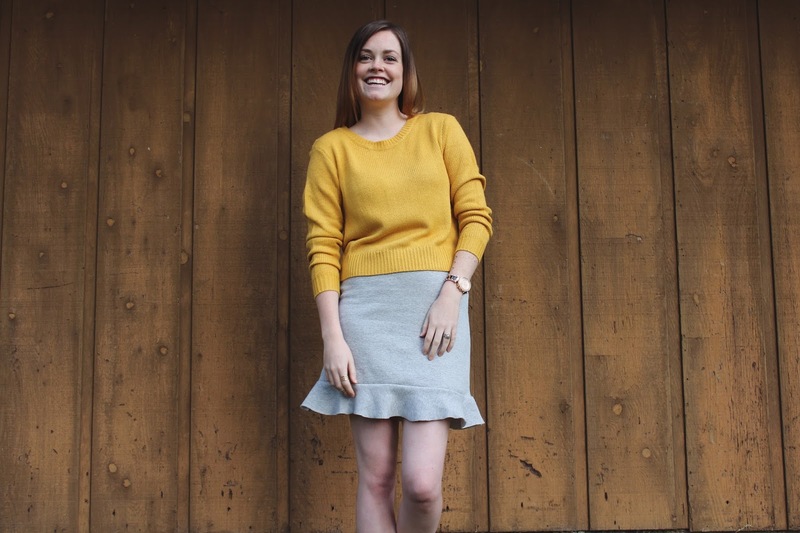 I stumbled upon a great gray skirt I loved from H&M and realized I could make something similar for half the cost. 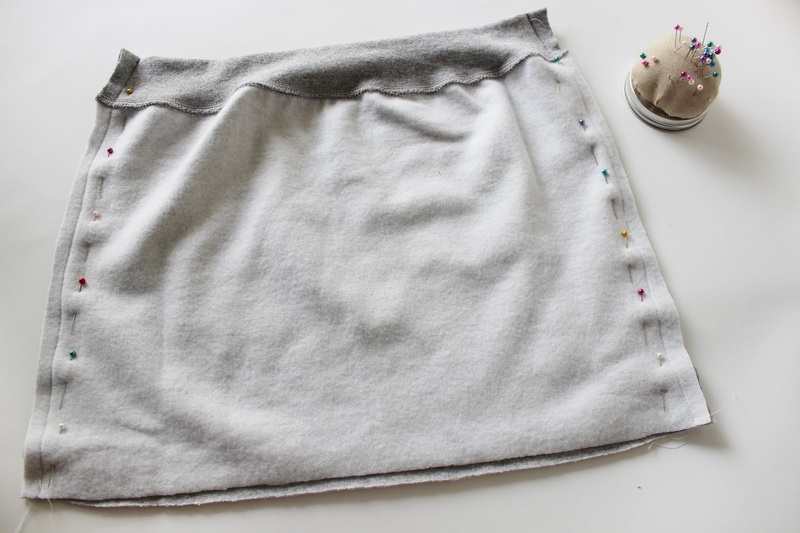 So here is a quick tutorial on a fleece skirt you can pair with some tights and a sweater for a chilly fall night. 1. Using the skirt, cut the skirt panels from the fabric. The length of the skirt is up to your preference. I used the bottom ribbed fabric as the waistline. Make sure to leave some room for sewing allowance. 2. 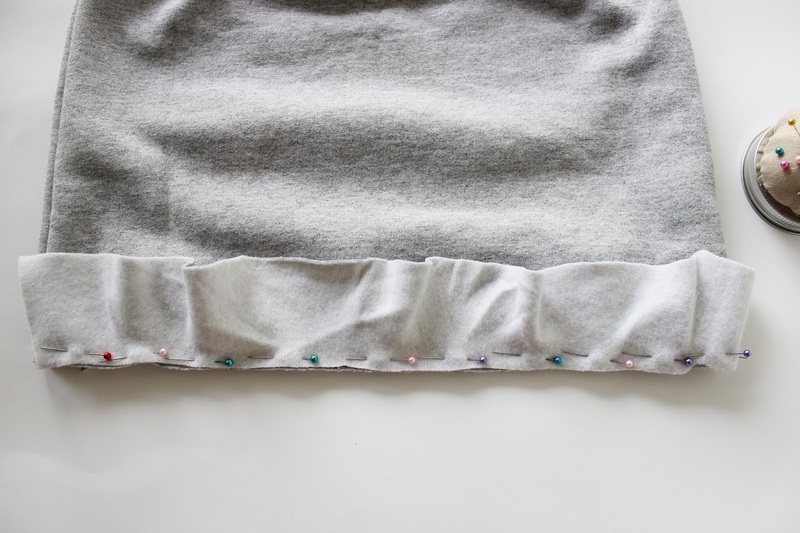 Pin the fabric together and sew the side seams. 3. Next you want to cut the flared hem. 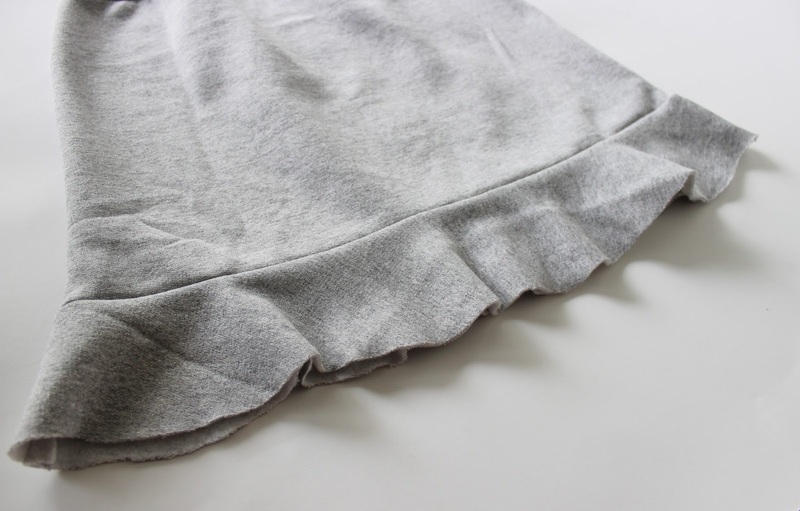 I used one of the sleeves of the sweatshirt for the fabric. 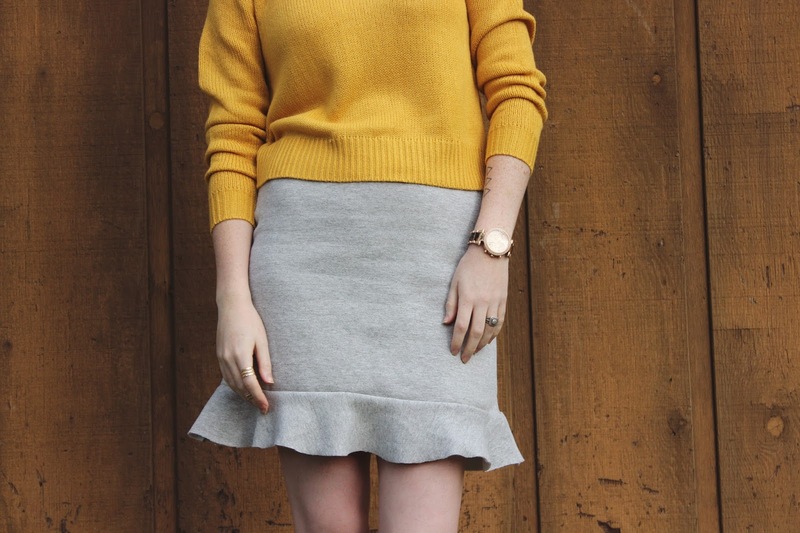 If you remember the circle skirt diy I did a while back it’s similar to that, just a shorter length. 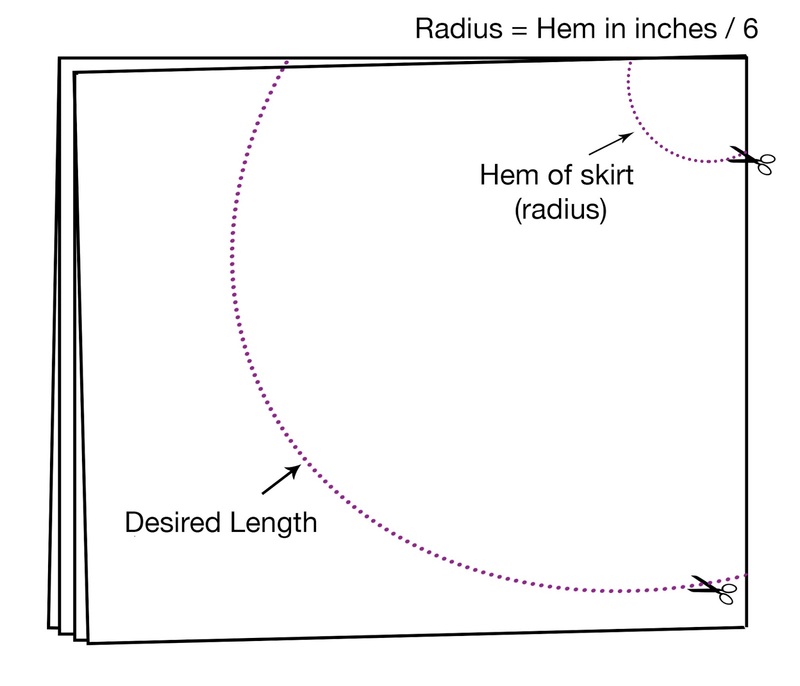 To get the hem length I measured the hem of the skirt flat and doubled that number. Divide that number by 6 and you have to radius of the circle. 4. Cut open one side of the circle. 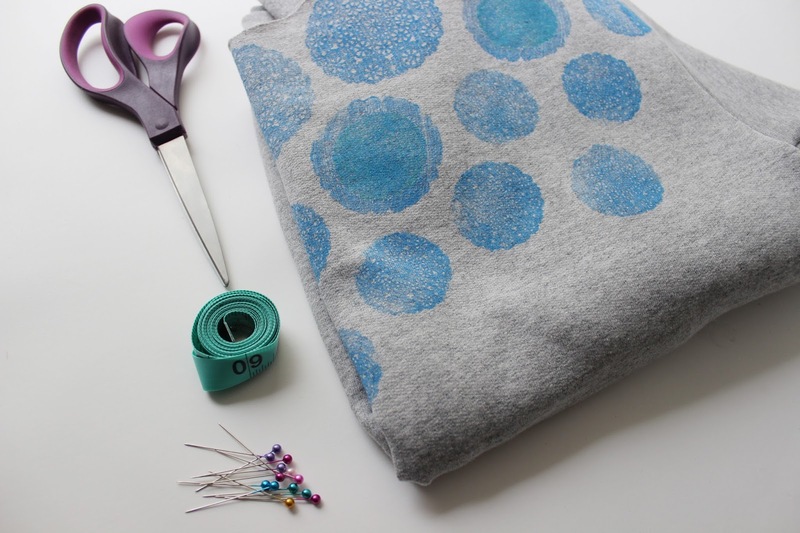 Pin the circle piece to the base of the skirt. It might be a little tough at first, but once you start pinning it will get easier as you go. Line up the seams of the skirt with the seams of the flared pieces. 5. 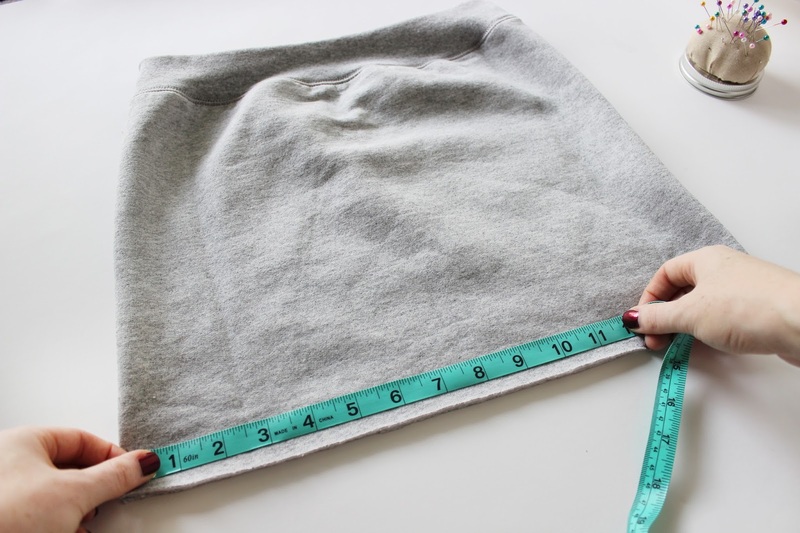 Sew a seam along the hemline. Once the flared pieces are attached sew the open edge together to finish the flare. 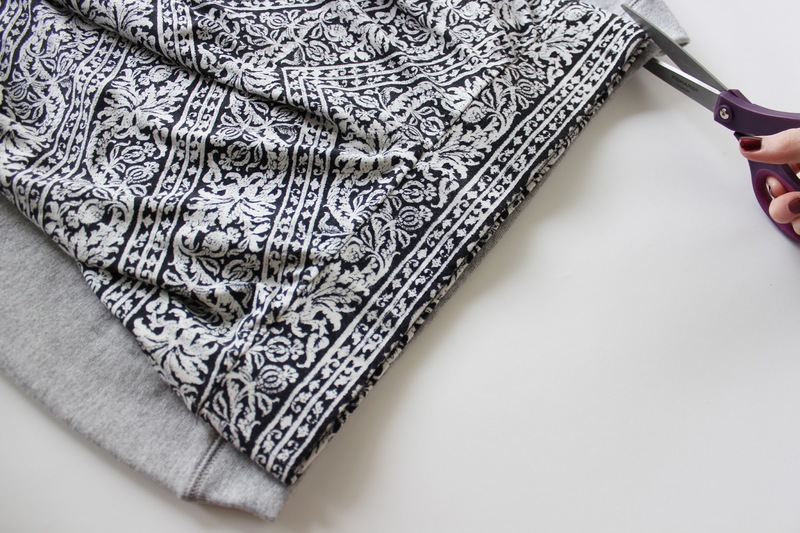 Finish off the skirt with a good iron and you’re all set! Reusing some failed projects and turning them into great ones is definitely a plus. If you have any questions feel free to fire away in the comments! I’ll help out as much as possible.